Carolan Lennon, Managing Director of eircom Wholesale and Tim O Leary, Deputy President, IFA are pictured at the launch of a nationwide competition to identify the next “Fibre to the Home” rural trial community. 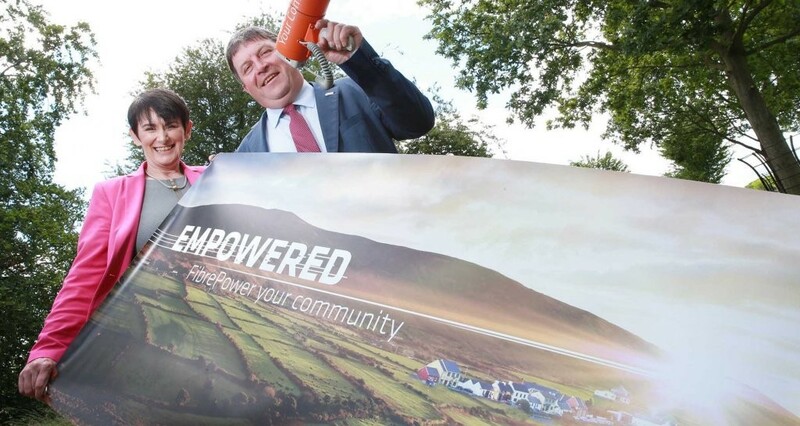 The move follows on from the first successful trial site in Belcarra Co Mayo, which has seen business and residents of this rural community enjoy the enormous economic, educational and social benefits of having access to broadband speeds of up to 1Gb/s. eircom, Ireland’s largest telecommunications provider, has launched a nationwide competition to identify the next Fibre To The Home rural trial community. The move follows on from the first successful trial site in Belcarra, County Mayo, which has seen business and residents of this rural community enjoy the enormous economic, educational and social benefits of having access to broadband speeds of up to 1Gb/s. 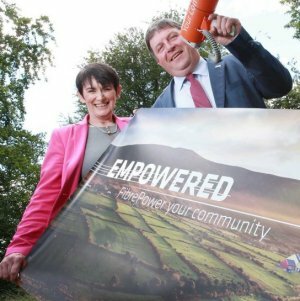 eircom is calling on communities across Ireland to be empowered and “FibrePower” their community by entering the competition. Communities are asked to present a compelling case as to why their locality should win and become the next eircom Wholesale “Fibre to the Home” trial location. The competition is open to communities with no access to high speed broadband, who are awaiting the deployment of the National Broadband plan. “We’ve been building our high speed fibre network since 2012. Today 1.2 million homes and businesses can access speeds of up to 100Mb/s. By next year we will reach 1.6m and then 1.9 million by 2020. We are also evolving the technology deployed so that we can offer speeds of up to 1 Gigabit per second, comparable with the best broadband speeds available. We are doing more and going further than any other commercial operator in Ireland. Supporting the competition and acting as judges are the Small Firms Association (SFA), online digital publication Silicon Republic and the Irish Farmers’ Association (IFA). The competition closes on Tuesday 15th September 2015 and the winner will be announced at the end of September. The investment is approximately €250K, according to eircom. There can only be one winner and there is no cash alternative. For more details, and the terms and conditions, visit fibrerollout.ie/competition.